Neil Trivedi is Group Scout Leader at Furze Platt Scout Group. It's his job to support the Scout Group and its leaders, ensuring it runs effectively and that Scouting within the Group develops in accordance with the rules and policies of The Scout Association. 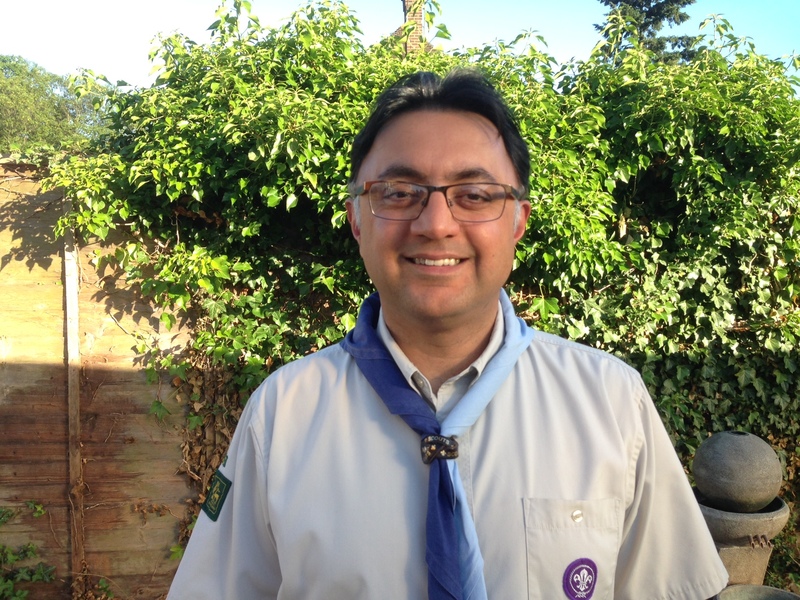 I am Neil Trivedi and I am the GSL for Furze Platt Scout Group. I would like to keep you updated on activities within our Scout Group, let you know what’s coming up and also use this as a way to ask for help with keeping our group going. As you might have seen we have been in the Advertiser on successive weeks. The first article covered the investiture of 10 new Cubs into the new Tuesday Cub pack and the meetings I have held to update you on the group and our current support vacancies. The second article covered our “base” on the Cubs incident hike where Tony and the Cubs enjoyed making twists over an open fire. With our leaders, we have a few changes coming up. Luke will move from Beavers to Wednesday Cubs in the autumn and will be promoted to leader, Juliet will also move from Beavers to the Tuesday Cub pack to become its new leader. Nick Hopper will take over from Simon as the Scout leader in the autumn and Simon will support Scouts and Cubs as an assistant leader as his work allows. We also have 2 new assistant leaders who have joined recently, Irene and Mahshid, they will be working through their training to become Assistant Cub leaders in due course. As many of you heard at the parent meetings we are looking for help to run our sections, with the recent moves and new leaders, the focus is on our Monday Beaver colony where we need an assistant Beaver leader and a regular section assistant. The colony has Carole as its leader and is supported by Marion and 2 young leaders as well. So you will be joining a good team. Please let me know if you can help – give me a call or email (07758 953366 or n.trivedi@hotmail.co.uk). HQ – Is currently getting painted and made ready for the Polish children’s language school due to start in September. Clearly we want to keep it clean for our new guests – Juliet runs the cleaning Rota for HQ and has struggled to get volunteers to help – if you can spare some time, please drop her an email: juliet@gjbentley.com. We will also be looking for volunteers to help paint the downstairs shortly. Campsite – we have made a lot of improvements since the fire last summer and we have also used the opportunity to update several areas of the campsite. We still need some robust park benches for the quiet area and also some robust picnic benches for the eating area outside the kitchen. If you have one spare or know anyone who wants to donate one or can get one at a good price – please let me know, we can normally arrange some kind of transport.